Kids can run around on an Angry Birds playground without fear of being catapulted into pigs. The first officially licensed theme park based on Rovio's Angry Birds game opened to the public last week in Haining, China. The park first opened in September but officially opened with a celebration on Oct. 1. The park covers about 10,000 square meters, has a bird castle, a parkour activity park, a musical stadium, a store selling licensed merchandise, and a gaming area. There are different areas for different age groups, but the park is mainly for children. The park has been planned since 2011. It has been well-received since its opening. Kotaku included two pictures of reactions to the park on Weibo, a social media site similar to Twitter. Both posts stated their children were happy to be at the park. Angry Birds has been a wild success around the world, but especially in China. 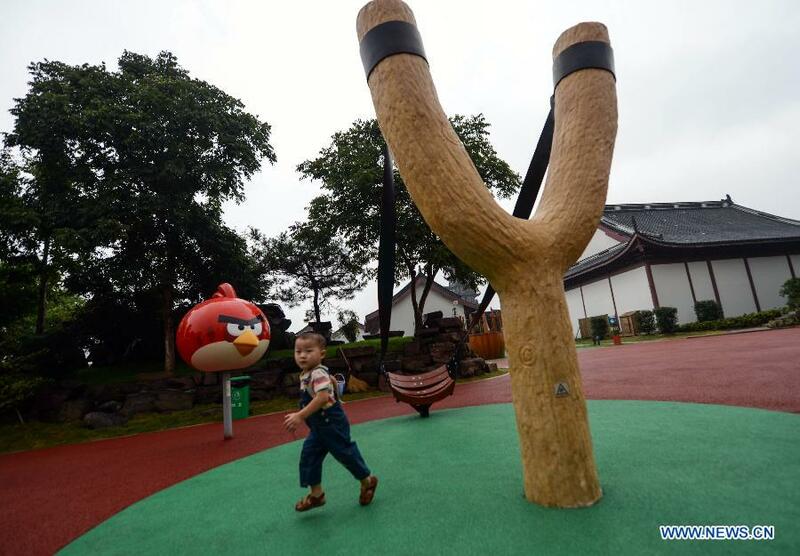 A previous Angry Birds theme park opened in Changsha, China, but it was unlicensed. Furthermore, an Angry Birds curriculum adopted at a Shanghai public school covers everything from mathematics to physical education. Angry Birds is a good example of how mobile games can take the gaming industry by storm. For some people a game of Angry Birds is more addicting than sitting down in front of the TV with an AAA game. The mobile game was released in 2009 and has spawned several additional episodes, special editions, and subsequent games in the series.